Owls come in many sizes and although most are nocturnal, some are diurnal and hunt during the day. 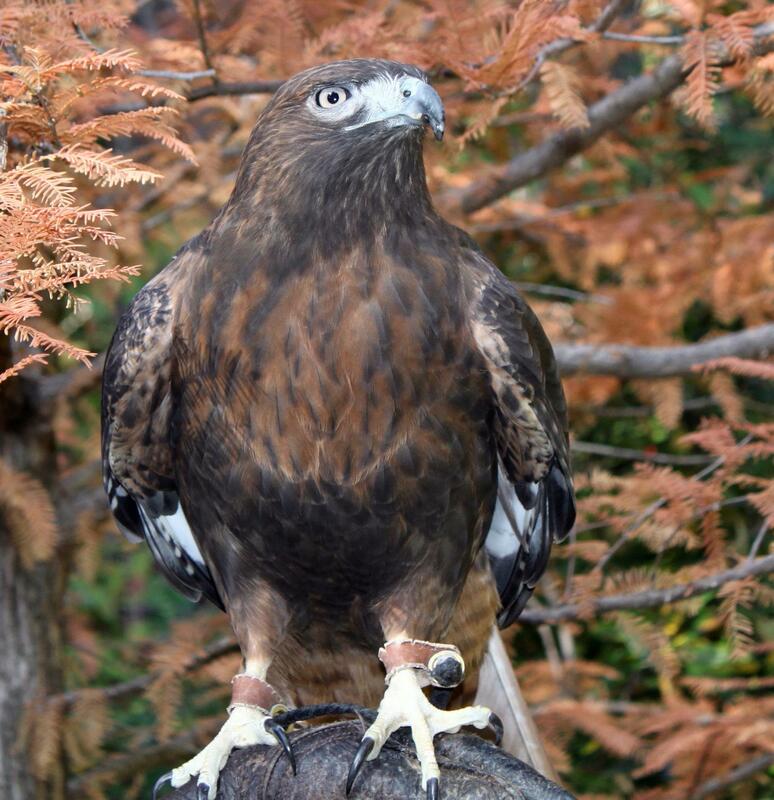 They fly soundlessly and have very acute senses of hearing and sight. They are found in all regions of the Earth except Antarctica, most of Greenland, and some remote islands. Though owls are typically solitary, the literary collective noun for a group of owls is a parliament. Owls are far-sighted and are unable to clearly see anything within a few inches of their eyes. Their far vision, particularly in low light, is exceptionally good. They can turn their head 135 degrees in either direction and thus look behind their own shoulders. It is not correct, however, that they can turn the head to face completely backwards. 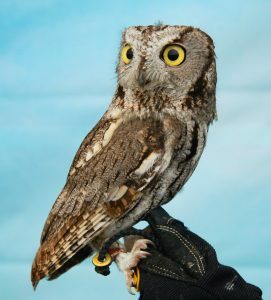 The Western Screech Owl is a small owl of the West and can be found in urban as well as wild lands. It is only 7-10 inches in size but has been known to capture prey larger than itself, including rabbits and ducks. Western Screech Owls are vulnerable to habitat loss because of urban development. Barn Owls are the most widespread of all owl species and are found on every continent except Antarctica. The barn owl’s face is arresting. There are no ear tufts. The eyes and beak are completely encircled by a heart-shaped facial ruff of white feathers that radiate out from the small, dark eyes. Barn Owls are more nocturnal than other owls. They wait until dark before venturing out to hunt, except when the demands of their young may start them hunting at twilight. Normally, before daylight, they retire to some shadowed or enclosed area in an old building, a hollow tree or a hole in a rocky cliff and remain there drowsily inactive all day. When hunting at night, the Barn Owl sweeps the fields on silent wings catching its prey with its long, slender claws. It prefers small mammals but occasionally in winter, when mice and gophers are scarce, it will take small birds. The prey is torn apart and swallowed — bones, skull and all. The indigestible parts are formed into pellets and disgorged at the roosting area or about the nest. The Great Horned Owl is a very large owl native to North and South America. It is an adaptable bird with a vast range, though not as widespread as the Barn Owl. They have excellent hearing and exceptional vision in low light. Their hearing has better depth perception than human hearing and better perception of sound elevation (up-down direction). The latter is possible because owl ears are not placed in the same position on either side of their head: the right ear is typically set higher in the skull and at a slightly different angle. By tilting or turning its head until the sound is the same in each ear, an owl can pinpoint both the horizontal and vertical direction of a sound. The eyes of Great Horned Owls are also nearly as large as those of humans and are immobile within their sockets. Instead of turning their eyes, they turn their heads. Their call is a low-pitched but loud “ho-ho-hoo hoo hoo.” Sometimes it is only four syllables instead of five. The female’s call is higher and rises in pitch at the end of the call. Young owls make hissing or screeching sounds that are often confused with the calls of Barn Owls.